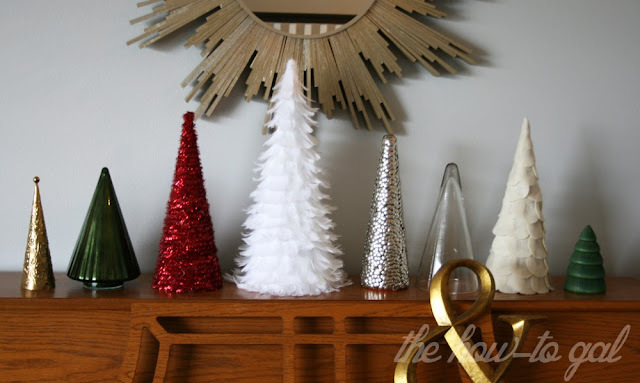 Last year around this time I hosted a DIY mini Christmas tree Pinterest party. Since that time, my two lone trees have turned into a collection! After Christmas sales and thrifting slowly add to the group, but, of course, a collection always needs more. While digging through my craft closet, I found a bunch of thumb tacks I bought for something a few years ago. Instant idea. I took those silver beauties and transformed them into another tree for my collection. Want to make one? All you need is a foam tree and some thumb tacks - mine are from the dollar store. I used two and a half boxes to cover the entire tree. Turn on a movie and start pushing them in! I pushed in a line of tacks and then put a line of tacky glue on both sides of that line. The tacky glue helped keep all of the tacks secure. Aren't they beautiful? LOVE! What types of Christmas decor do you collect? Love your collection! 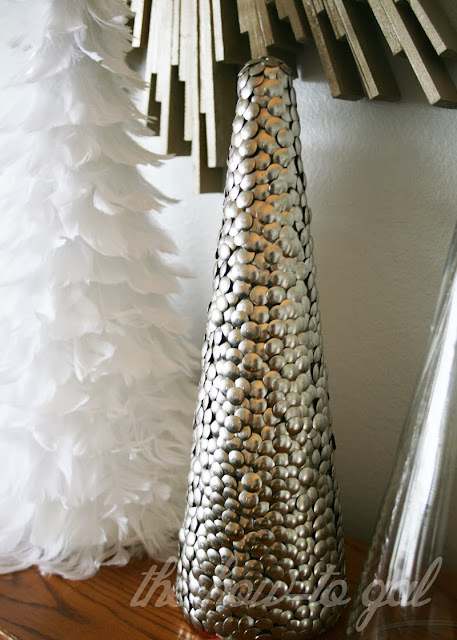 Did you end up buying the white feather tree?? This little light poses a potential threat in Christmas legend. It has a long and entrancing history.